By far, the #1 question we get is: "What supplements should I take for _?" In this case, the blank could be anything, but it's usually about a dozen common things. Fat loss. Muscle Gains. Testosterone. Joint Pain. Occasionally we get the interesting demographic ones, e.g. seniors or vegetarians. The world of supplementation is far more complex than just "good" and "bad." In reality, it's more like "your base" "things that we know work" "things that may work" and "overhyped that are a waste of your money." And that's how we approached our Stack Guides. 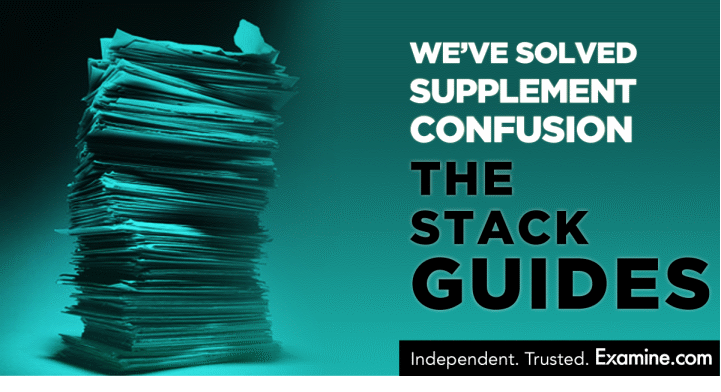 Each Stack Guide takes on a common supplement concern. We then break down supplements into four categories - Base Supplements, Proven Options, Unproven Options, and Caution/Overhyped. We cover each supplement and carefully breakdown how to take it. Once you have all the necessary information, we then talk about Assembling Your Supplement Stack, with different tweaks based on your specific context. After that, we answer some common questions about the supplements featured in the guide. Finally, we cover any cautionary information you should know about. Put together, the Stack Guides distill our years of work and decades of collective research into an easy-to-follow, step-by-step guide It takes something complicated and makes it so easy that even our moms could use it. Get our Stack Guides now. It will save you time and money and make supplementation easy-as-pie.